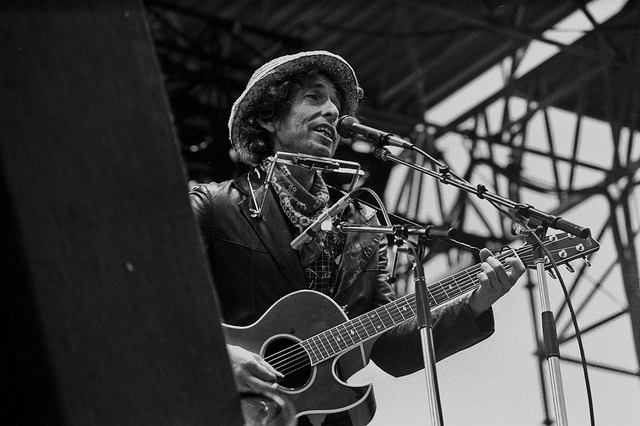 I was at this concert ( possibly my first Dylan “live” ? ), and thought it odd at the time, that he deviated more or less from the original recorded versions. Like me, many fans weren’t used to this unusual, rather unheard of, phenomenon. It was the true “original” Dylan that he still is, that dared to sing his songs in the way he thought creatively best at that point of time. Meanwhile, most of us enjoy growing with all the different versions as if they were different songs. This lends more credence to the everlastingl art of Dylan. My favourite version of “It ain’t me, babe” is from the Rolling Thunder tour shown in Renaldo & Clara film. But thanks to your upload today, I have remembered my visit to this concert in Hamburg, enjoyed the version now more than early on .